When we started going to this tiny Bengali (including jewish, persian, anglo Indian, mughal food popular in Kolkata) joint in Galleria market, the food was good – It was always suboptimal as compared to the best food in that category in Kolkata but was quite good as compared to similar other options in Gurgaon. 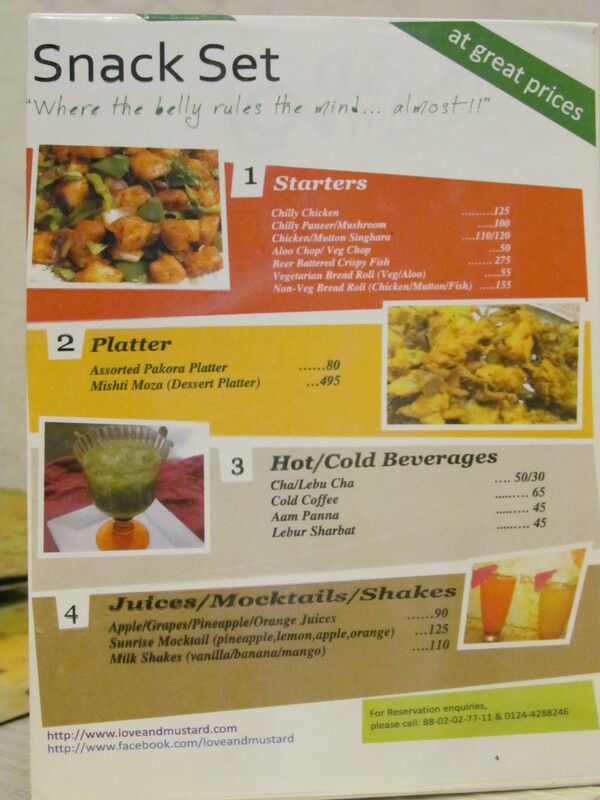 This time we went there, we found that the menu card had changed & a lot of good stuff had been removed. When we started eating, it became a real challenge to control the frustration of paying & eating sub ordinary food ….. U get much better than this at people’s home in Kolkata…………… leave apart restaurants……… For Bongs, this can still b a bearable eatery to have dinner on those ‘no cooking today’ days…………… but surely not a good place to have a great ‘eat out dinner’ ………….. maybe just OK OK dinner. Nowadays in Bengali marriages Dinners r quite cosmopotlitan & they r usually served by caterering companies. However, the lunch that u get in a typical biyebari (marriage) is usually a multi course bengali lunch – for the close relatives & family members – it is usually cooked not by hi end caterers but groups of cooks referred to as ‘thakurs’ – I can vouch that all such lunches that I have had in the last ten years were better than the thali at Love & Mustard. So, the owner of the restaurant might as well get a good Thakur to get the food right. Love is lost (love & passion for making good food) & the mustard is not fresh & tangy any more!!!! I will start this section with my earlier good experience (in italics) &then move on to the latest bad experience. The egg chicken roll is made with a roti instead of a parantha (the original Kolkata roll is made on a multilayered 5 mm thick flour parantha as the base) & for sure it is a disappointment from an authenticity perspective. On its own, it does not taste bad. The original version is oil fried vs the Love & Mustard version is not. That makes the latter a tad healthy ……………. By the way, Do we eat out to be healthy or to pamper our taste buddies (buds)??? We can just have good muesli & fruit meals at home to b healthy & work out regularly as well. The fish cutlet was very good – though not as good as Bengal Hotel in 14 No. Bus stand Behala Kolkata. The Moglai parota (Mughlai Parantha – A flour parantha lined with egg & filled with mutton mince topping is folded & deep fried) was quite good & authentic. Devilled eggs (An egg covered with potato & minced mutton paste, fried with arrowroot crumbs) are quite good but not ‘fatafati’ (Bengali for outstanding). My uncle makes better than this version at home & he is not a Chef. However, the main course dishes like kosha mangsho, & some of the curries are good. The mutton Biryani is almost ‘there’ from an authenticity point of view but is still short of Arsalan, Park Circus, Kolkata or Aafreen, Metiabruz Kolkata. The Arsalan one just melts in the mouth…. 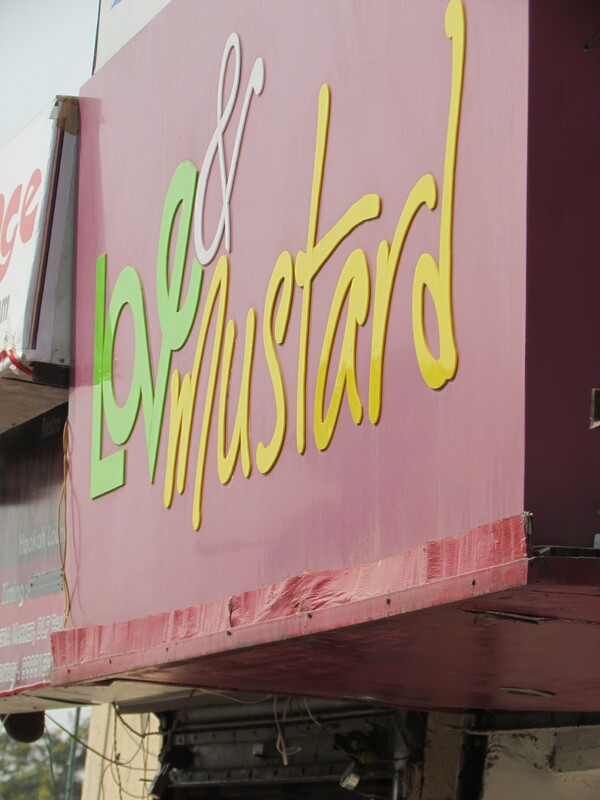 The one at Love & Mustard is a few notches lower. For the uninitiated, Kolkata Biryani is an extension of Lucknow Dum biryani & is served with an egg & a half potato – It came with Nawab of Lucknow, Wazid Ali Shah after he was deported by the British to Kolkata & then the cuisine got modified over time. I guess, being from Bengal I am a bit stricter to this eatery than others in my judgement on authenticity but I guess if you do not have that baggage, u have a very high chance of loving it. You can surely have some good sweets here like the sandesh, payesh, mishti doi etc. While it was a mixed bag earlier, this time we went there, we asked for the Mahabhoj that we had seen on the menu card previously. It was a large lunch set menu for approx.. Rs. 380. We were told that it had been scrapped & there is a strip down version at Rs. 210. We went for that. The Thali had rice & luchi (a poori made with maida – Bengali style) as cereals, a begun bhaja (fried aubergine) , laabra (mixed vegetable curry), dal (lentils), maacher jhol (fish curry with light gravy), Kosha Mangsho (mutton Curry) , Chutney (sweet & sour pickled fruits) & payesh (payasam). We also ordered a bitter vegetarian curry called shukto. 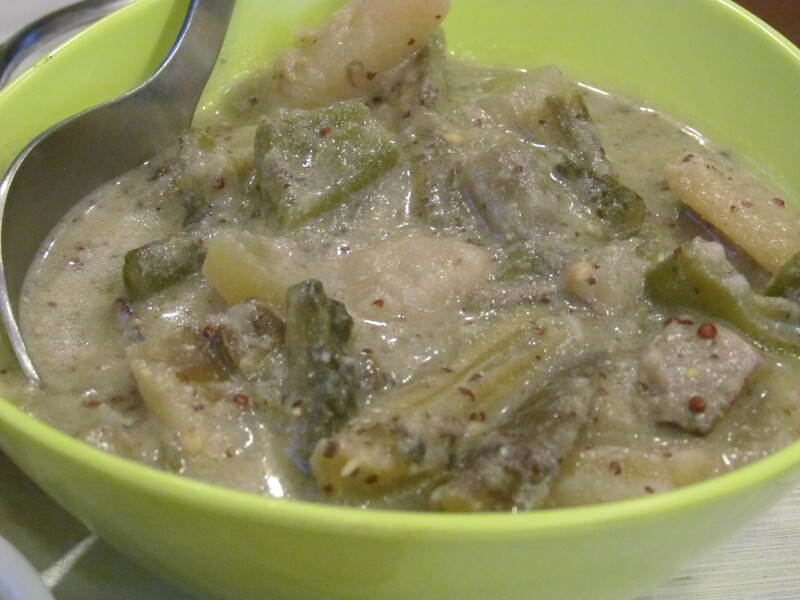 Conceptually shukto is a mixed vegetable curry with karela in it. The shukto was almost good but a few notches lower than optimal due to a very basic mismatch in the ratio of salt, sugar & bitterness. It had specs of mustard & that was adding to the taste & flavors. Ground coconut which is added in shukto in many households cud have made the taste much better. The laabra was horrible – character less, bland, stupid & disgusting. Any good Bengali auntie can cook better than this at home. The dal was OK but nothing exceptional………. Thakurs (referred to in short description) do a much better job. Kosha Mangsho was the only dish in the thali that was very good. Tender meat pieces in a very spicy & flavorful almost dry gravy. The chutney was fine & so was the payesh. 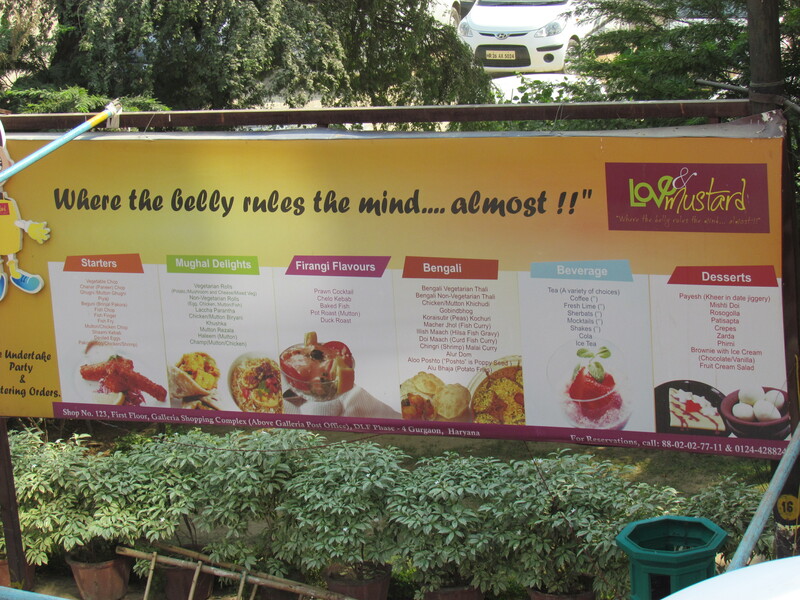 We are petrified to go to Love & Mustard on another occasion – will surely not eat the thali but maybe will retry some of the dishes that I liked before – kosha mangsho ,biryani, moglai parota etc. I found the food terrible even the day it opened. But then i thought, its just the start, teething issues….gradually i understood the food was always terribly…terribly oily loochi, bland daal, soggy sticky rice and a foul smelling kosha mangsho…i say stay away!! 1. 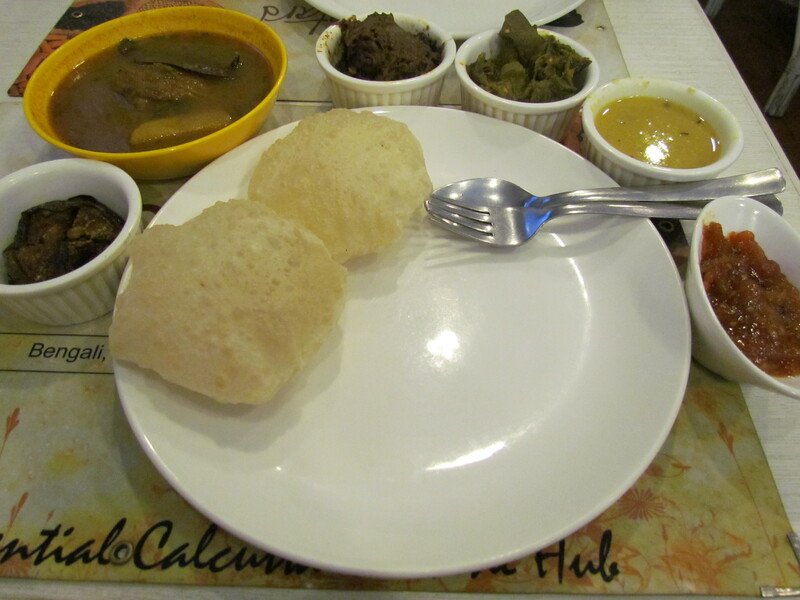 Shorshe Illish was unpalatable — if they still continue like this they will bring a bad name to Bengali cuisine. 2 hours ago · UnlikeLike · 1Loading…. 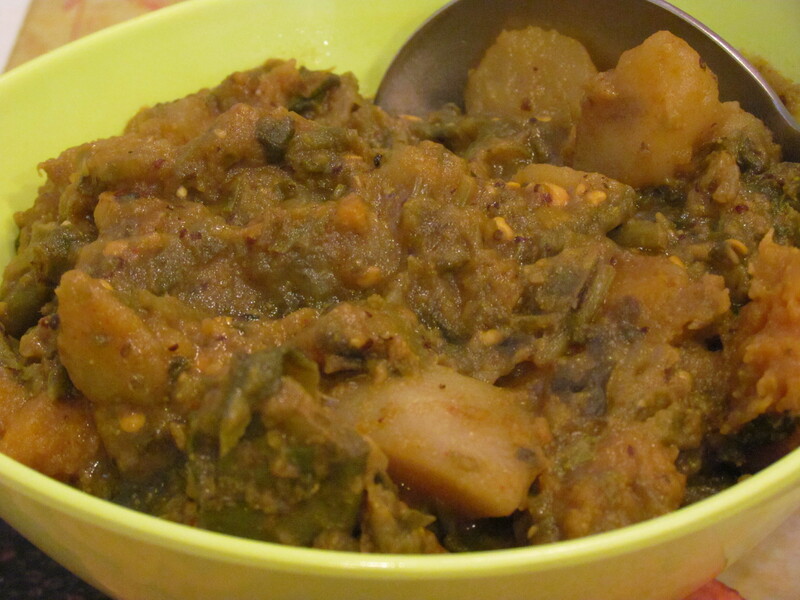 Am digging out all posts about Bengali food and Bengali Bloggers this Bengali New Year! I myself have plans to write on Mustard Oil – have taken photos you know – my style of presenting shorshe tel in a very vilaiti manner!